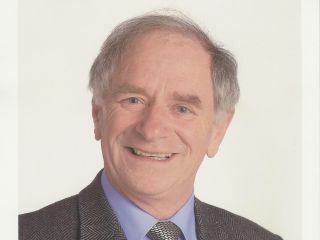 The Post Office has hired kid's TV favourite Johnny Ball to teach us about the jargon of the Internet. According to the PO, 'almost' half of us are in the dark "when it comes to understanding the language of the Internet." Of course the venture - essentially creating a printed Jargon Buster leaflet - coincides with the launch of the Post Office's new broadband service. You may remember we covered its announcement some weeks ago since the USP was that you could pay for the service with cold, hard cash over the counter. The service, says the organisation is designed to cater for those who can't pay for a broadband service in the usual way. We don't socially stereotype here on Tech.co.uk, so can't comment on that further. "Even though people are baffled by Internet terminology, it doesn't mean they can't use the Internet," said Ball in a statement. "I'm working with the Post Office to reassure people that the Internet is not that scary - these days you can even apply for it when you are posting your letters!" Around 50 per cent of people over the age of 55 do not understand simple Internet terms such as browser, hyperlink and cookies, says the Post Office. In contrast, 70 per cent of 18 to 24 year olds were able to correctly define such terms (rather unsurprisingly). Among the confusing terms was apparently 'Podcast', mistaken for an annual pea throwing contest that takes place in the village of Peas Pottage in Sussex; and 'macro', which was mistaken for the cash and carry chain of the same name. So, the final word from Mr Ball: "I use the Internet for all sorts of things - from emailing the family to watching my favourite TV shows. It's a modern scientific miracle!" God love him. The Post Office is offering broadband for £16 a month and has packages that include phone calls, too.